The roof of your home is vitally important to your family and your property. It is the first line of defense that your residence has against adverse weather conditions and the elements. Because it bears the brunt of the weather, eventually every roof needs to be replaced. When the time comes, it is absolutely imperative that you contact a professional for help with roof replacement in Southwest Chicago. At Allpro Contracting, our Southwest Chicago remodeling contractors are here to assist you with the effort. We can personally inspect your roof in order to determine whether it would be more beneficial to you to repair or replace your roof. In either event, after our efforts, your roofing system will look its best and will provide your property with the protection that you expect and deserve in your home. 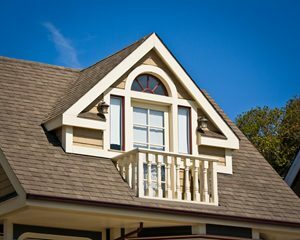 In order to help you better understand when it is time to install a new roof on your home, our Southwest Chicago remodeling contractors have provided the following guide. Call us today if you notice any of the following issues with your roofing system. Our staff would be honored to assist you and to answer any questions that you may have. When you are deciding between repairs and a roof replacement in Southwest Chicago, the first thing that you should consider is its age. Depending on the roofing material and the level of care that you have given your roofing system, the expected service life of your roof will be different. Generally speaking, a well-maintained asphalt shingle roof can be expected to last 20-25 years. As such, if your roof is reaching this age and in need of repair, it may be time to replace it entirely. Another telling sign that your roofing system is reaching the end of its service life is shingle erosion. The surface of your shingles has granules embedded into it. Over time, these granules will be washed away. If you find a large amount of shingle granules in your gutters, your roofing system may be too old to cost-effectively repair. If your roof has been significantly damaged, it does not really matter how old the system is. The greater the extent of the damage, the more likely it is that you should install a new roof on your home. Buckling and warping shingles are signs that an extensive roof lean has occurred. If you notice this or any other problem, you should contact our Southwest Chicago roofing contractors for help. We can install a new roof for you that will beautify and protect your home for decades to come. If you need to hire a professionally licensed contractor for roofing installation in Southwest Chicago, call Allpro Contracting today at 708-658-3500, or fill out our online request form.